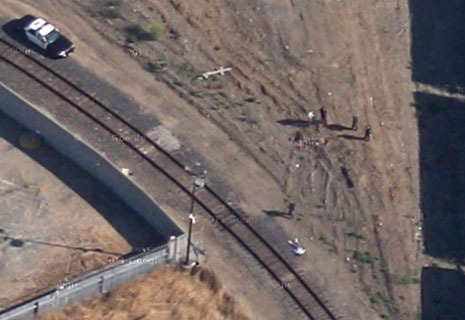 The father of a murdered teenager wants Google to delete a Google Maps satellite image that the man believes shows the dead boy lying along railroad tracks near his California home. 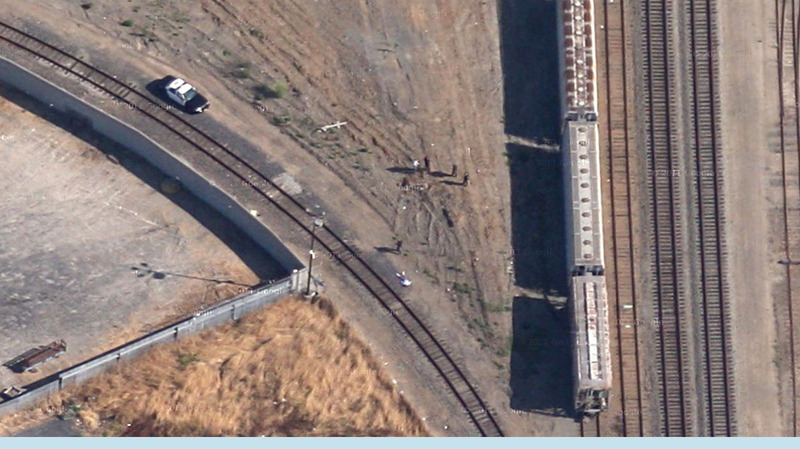 The jarring image shows a body splayed near tracks in Richmond, a city in Contra Costa county. A police car is seen nearby, while other figures--presumably cops--are steps away. While the date the satellite image was recorded is unknown, Jose Barrera believes that the photo shows his son Kevin, 14, who was murdered in August 2009. Investigators found the teenager’s body along the Union Pacific railroad tracks. Barrera has said he will petition Google to remove the image, which is seen above (click to enlarge). According to Sergeant Nicole Abetkov, a Richmond Police Department spokesperson, Barrera’s body was found on August 15, 2009 in the 1100 block of Hensley Street, which roughly coincides with the location shown in the Google image. The teen’s murder remains unsolved.